If you’re a runner, taking the trails feels more enjoyable and exciting when you have a pair of comfortable running shoes on. But if you’ve been getting corns, bunions, blisters, calluses, or perhaps experiencing a restricting feel or any discomfort around your foot, there must be something wrong with your shoe size. If the recurring pain seems to be on the soles of your feet, you should consider measuring your foot again and determine where the measurements fall in. You might be unaware that you have wide feet and you need to make some adjustments with your shoe sizing when shopping for running shoes. But how can you tell if you really have wide feet? If you do, how would you choose the best and most comfortable running shoes? In this article, we’ve unraveled everything you need to know before you buy your next pair of running shoes: the ways to tell if you have wide feet, the benefits of investing in the right running shoes for your size, the essential factors to consider, and the roundup of the best running shoes for wide feet for men and women. Keep reading! 1 How Can You Tell if You Have Wide Feet? 3 How Can You Choose the Best Running Shoes for Wide Feet? How Can You Tell if You Have Wide Feet? You can go around checking and fitting every running shoe you can find in a department store to see if it’s the ideal and comfortable fit or not. This may work at times but honestly, taking trial and errors with your shoe size is not always the best way to do so. All you need is a pen or pencil, tape measure or ruler, and a piece of paper; you need to measure your feet. It is hard to tell at a glance whether you have wide feet or not. You might feel like you have narrow feet but you don’t actually have or maybe it’s the other way around. There are probably mishaps with guessing but if you make some time to take your feet measurements, it is definitely the best way to know. After taking the measurements of your feet, the sizing chart below for men and women will serve as your basis whether you fall in the category of narrow, standard or average, or wide feet. Based on the sizing chart above, which category do your feet fall in? If your feet measurements match the Wide (C/D) or Extra Wide (E) category, it is time to make adjustments and find new pair of running shoes according to your correct shoe size. When the shoes you’re buying do not fit or in any way feel uncomfortable, do not buy it. It is not true that when the shoes don’t feel right the first time, it’ll get better and be fit over time like some kind of break-in or trial period. It is a total myth. Running shoes should always feel comfortable when you try them on right there and then. Do not strain your feet if it feels too tight. Otherwise, it will only cause discomfort, chronic pain, and even permanent damages to your feet. How Can You Choose the Best Running Shoes for Wide Feet? Aside from taking the accurate measurements of your feet, there are other important factors that you need to consider first before you head out to the store and settle for the running shoes of your choice. Shoe size definitely matters and it’s probably the foremost factor that everyone must consider prior to purchasing any type of shoes. As mentioned before, if you’ve been experiencing comfort issues with your current shoes, it is necessary to take your feet measurements again to know what kind and what size of running shoes you should be running. You can use the chart posted above as your reference to determine whether you have wide feet or not. Once you’ve confirmed you have wide feet, take note of the sizing details or codes such as C or D for Wide Feet and E for Extra Wide Feet on the size chart. These codes indicate that the running shoes have available sizes for wide feet. When it comes to body support and stability, the foot arch essentially fulfills this role. Every person has its own arch length and each certain measurement or type defines the type of shoes you should wear. But how would you know which type of foot arch you have? Here’s a test you should do. To know your foot arch, you can base your foot outline according to these categories: Normal or medium arch, Flat or low arch, and high arch. Normal Arch – If the outline or footprint shows a curve that is half-filled, you have a normal or neutral arch. Such arch depicts normal pronation which absorbs the shock normally when you lift your foot and therefore, provides optimal support for your body weight. When finding a running shoe, try to look for semi-curved or straight last or pattern on the shoe. Your running shoes should also be stable and have firm midsoles. Flat Arch – You have a flat arch if the footprint doesn’t show many curves and looks almost like a complete foot. People with flat or low arch tend to overpronate and usually suffer from joint-related issues and muscle tension and if it shows that you have one, finding the right shoe can be crucial at times. Look for running shoes that have straight last or pattern and motion control to enhance the stability. High Arch – If it seems that there is nothing that connects the heel and toe or you see little details of your footprint, you probably have a high arch. People with this arch type tend to underpronate because it lacks support on the body weight and the stability which causes bad landing and insufficient support for the impact. Therefore, running shoes with lots of cushioning is highly recommended. After ticking off the size and arch foot on your checklist, definitely the most important factor you should consider is the comfort and fit. You can never fully benefit with the support when the shoes are not comfortable enough. Apparently, you’re compromising the comfort when you are wearing improper footwear. As mentioned before, you may suffer from injuries, chronic pain, foot-related health issues if the shoes are not comfortable when worn. If you’re browsing on physical stores, make sure you’re wearing socks when trying out running shoes to make sure you’ll have adequate room for your feet. Without socks, there is a tendency you’ll end up with tight-fitting running shoes. Take note that your toes along the toe box should not feel cramped or restricted. But if you are going through selections online, check the sizing chart for the measurements. How much you are willing to spend for a pair of running shoes is inevitably an important factor. Running shoes come in a wide range of prices and some are surprisingly affordable while other brands are pretty expensive. But if you want to find the best pair that suits your needs and preferences perfectly, always invest in superior comfort. There are high-quality and durable running shoes that do not suffer with the affordable price although there might be times when you have to spend a few more bucks for great quality running shoes. When you’re all good with the essential factors such as the size, type of foot arch, comfort and fit, you can pick out the style and design of your choice. There is a vast selection of running shoes for men and women on the market that you can check out according to color, style, and design. It varies from brand to brand but always go for the design and style that renders excellent quality and performance. New Balance is one of the popular and trustworthy brands for running shoes. 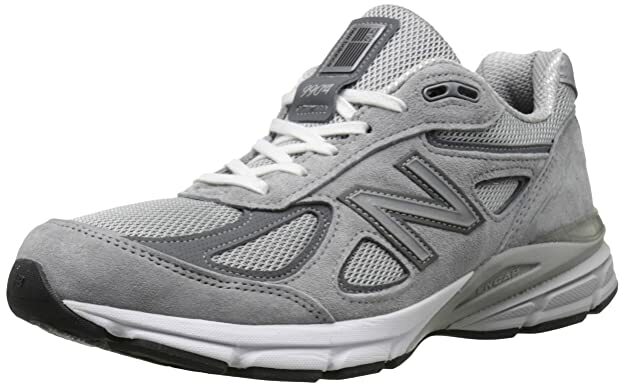 And among its large collection is the 990v4 running shoes for men. Manufactured from leather and textile, it ensures excellent and reliable quality that you can use for many years. Designed with an optimal height, these running shoes provide great heel and ankle support that people with flat and high foot arch can benefit from. And because they are lightweight, you can run through the tracks or engage in strenuous training with utmost comfort and airy feeling. The shoes are also crafted with great cushioning and a dual-density collar foam which helps maximize the comfort and hence, deliver better stability and support. And to provide proper ventilation for your feet, the upper is tailored with a breathable mesh along with the supportive leather overlays. While it allows the feet to breathe, the mesh design also helps prevent odor and bacterial growth, that are usually caused by moisture and sweat buildup. 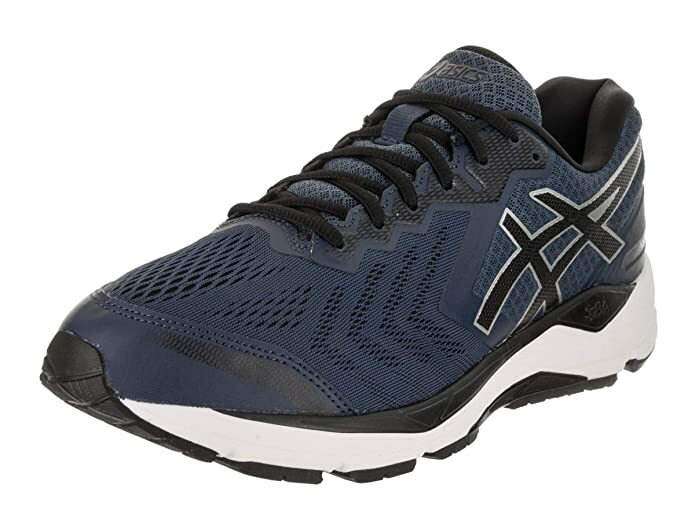 These ASICS Gel-Nimbus running shoes boast its patented Flytefoam technology that lends superb responsiveness and bounce back. These shoes are also crafted with the Gel Brand technology that has the ability to reduce shock and rather provide great support during impact. Therefore, the perfect blend of these two technologies allows you to run and move more comfortably in multiple planes. To enhance the flexibility and fit especially for runners with wide feet, Asics also tailored these running shoes with Fluidfit technology. Blended with multidirectional stretch mesh, it embraces the foot with superior comfort leaving a seemingly custom fit for exceptional support and performance. The mesh also provides excellent breathability that keeps the feet fresh and free of moisture, sweat, and odor at all times. Besides the External Heel Clutching system that promotes excellent heel support, the overall design is essentially crafted preferably for neutral runners or people with normal foot arch. If you pronate normally or you have normal foot arch, you can consider these Brooks Ghost 11 as your next pair of running shoes. Intricately designed with soft cushioning, your feet can indulge in substantial comfort while providing optimal stability when you walk or run. 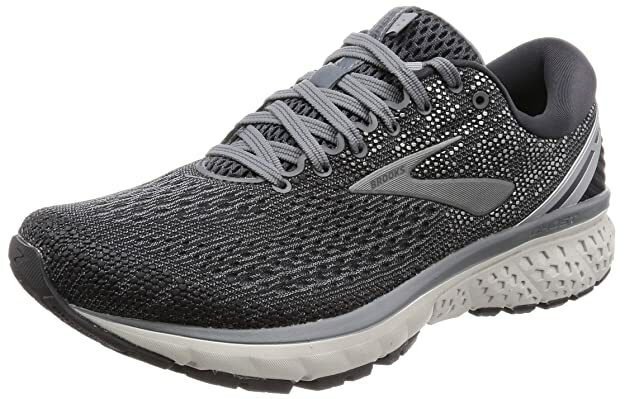 The BioMoGo DNA and DNA loft are patented cushioning technology from Brooks that function to lend exceptional underfoot without straining the responsiveness. These running shoes are also designed with a wider toe box that provides enough room for the feet, especially for runners that have wide feet. In addition to the shock absorbing feature, the Segmented Crash Pad provides superb and protective cushioning and thus smooth motion and landing when you move or run. The mesh upper is also an innovative feature that promotes ample ventilation to your feet and therefore, wards off potential bacterial growth due to odor and moisture. The mesh also keeps the shoe lightweight that enhances flexibility and comfort. 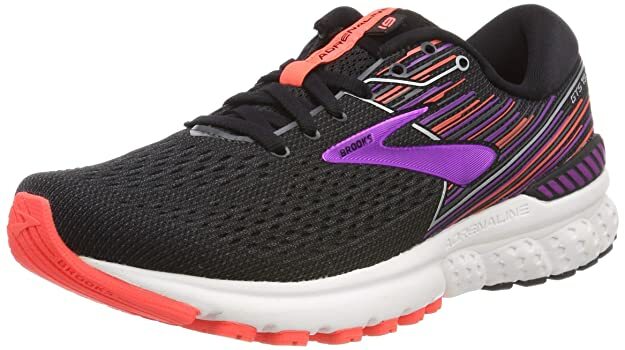 Innovatively tailored and crafted with softer cushioning and elevated responsive heel, these Wave Rider running shoes are definitely a treat for people with different foot arch types. Whether you have normal or neutral gait, flat or high arch, these running shoes work its wonders to give your feet exceptional support and superior comfort. 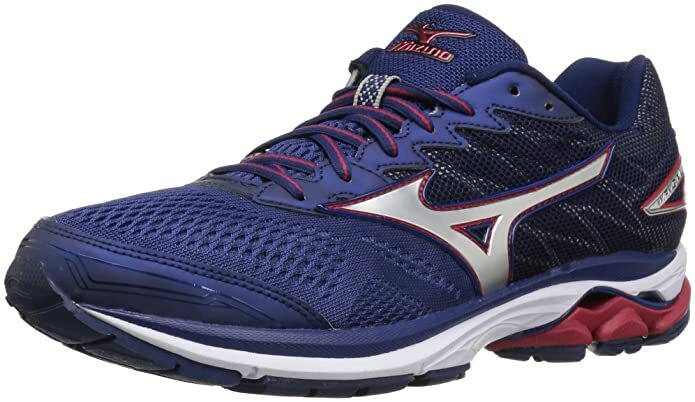 Designed with Mizuno’s U4IC midsole foam, it exhibits great response and durability that provides firm and stable support for your feet every time your move or run. Along with the cushioning technology and the new Cloudwave feature, every stride and transition feels smoother than ever. And because it is tailored with Triple Zone mesh design, it promotes excellent breathability allowing the air to circulate and hence, deter odor and moisture buildup. For a lightweight but durable design, Under Armour is probably one of the finest brands that offer a stunning array of running shoes that you should check out. This Charged Bandit 3 is made from textile and synthetic materials for enhanced durability. With its UA SpeedForm construction, it renders a precision fit that elevates your performance when you go for a run. Besides being lightweight, these running shoes are also breathable that helps eliminate odor and moisture. Plus, the antimicrobial Ortholite sockliner keeps the footbed comfy and fresh at the same time. Backed up with flexible support, runners with different arch types and wide feet can revel in a sufficient room, stability, and comfort. 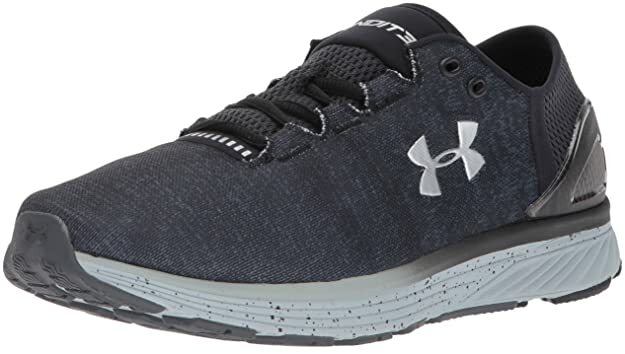 And to make sure you take delight in superior comfort, durability, and excellent responsiveness, Under Armour designed it with a Dual-Charged Cushioning midsole. 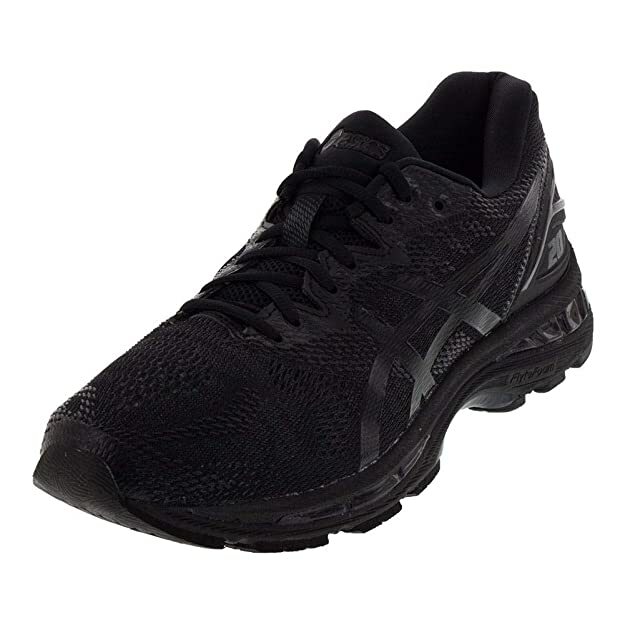 The Gel Foundation 13 is another top-rated pick from Asics running shoe collection. Known for its durability and superb stability, runners with neutral arch and flat feet can give their feet comfortable upgrade. It ramps up the cushioning and support with ComforDry Sockliner that also has anti-odor properties to keep the feet cool and dry all the time. Crafted with plush tongue and collar and breathable mesh lining, your feet can sufficiently breathe and hence, deters moisture buildup. Designed with the Guidance Trusstic System, it increases gait efficiency and therefore, provides optimal arch support especially for those who overpronate. The DuraSponge outsole material also adds cushioning and durability for a long-lasting quality. Just like their clever design and technology with the Ghost 11 for men, Brook’s Ghost 11 for women also carries out superb features that revamp your footwear with better support and cushioning. It is also tailored with the BioMoGo DNA cushioning technology that enhances comfort while keeping the responsiveness right at the par. It showcases the merge of Segmented Crash Pad and Midfoot Transition Zone for smoother and quicker heel-to-toe shifting. And with its breathable mesh design, it feels more lightweight and promotes cool and fresher feeling as it eliminates odor and moisture. They are true to size and ones for wide feet have plenty of room on the toe box that gives your foot a cozy feel. Although it is applicable for everyone, if you have high arches and your feet run wide, these running shoes might just be the ultimate pair for you. 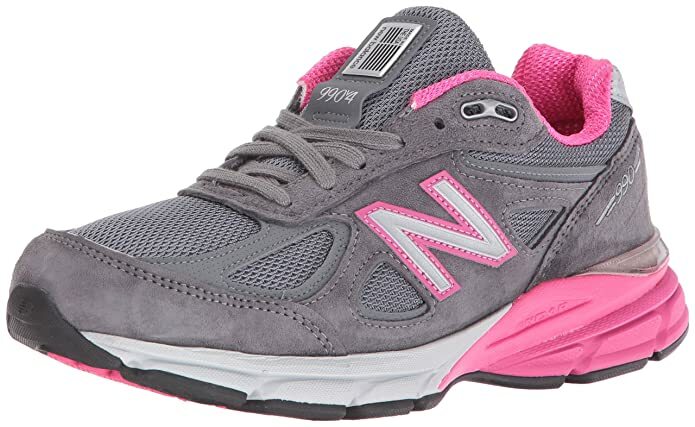 If New Balance offers a wide array of running shoes for men, they surely also have laid out a stunning collection for women. As the counterpart of the men’s w990v4, the New Balance w990v4 shares its superb features that many runners or even leisure walkers will benefit from. With its low-top arch and excellent cushioning, it can accommodate different types of foot arches – normal or neutral, flat feet, and high arch. These running shoes are all about comfort and durability and many consumers undeniably agree that these shoes promote great quality footwear and therefore, elevates one’s performance, especially in running. Designed with breathable upper mesh, adequate airflow goes through which prevents odor and moisture buildup. And because it has roomy toe box and optimal width and arch support, you can definitely revel in superior comfort. 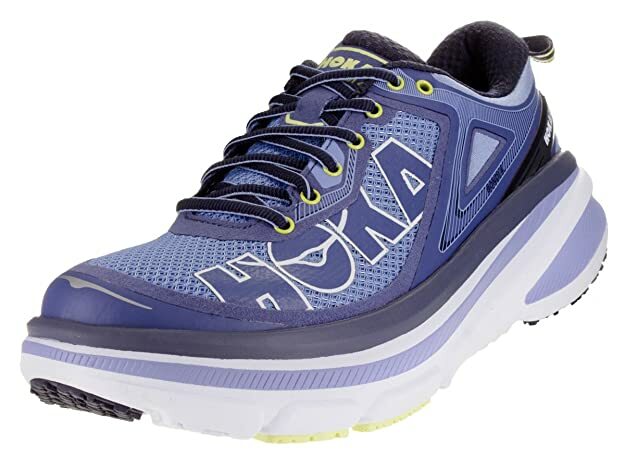 Hoka One One boasts its full EVA midsole and Hoka One One cushioning that keeps the feet cozy and comfortable while running. Crafted with Sporting Lycra ComfortFrame upper, the tongue exhibits added comfort with the durable and soft pads. Tailored to perfection, the precision and snug fit and the exceptional cushioning, together they make these running shoes reliable and very comfortable to wear even for long hours. The design showcases a strategic rubber placement along with the TPU external heel that provides stability keeping your feet secure and protected all the time. Such feature also lends optimal support on your feet even when you’re running on hard surfaces, especially for people with low arches or flat feet. Due to its construction, runners that have high arches may not benefit as much as those with flat feet and neutral arch. Nonetheless, these running shoes keep up with the best-sellers on the market with its design and performance. 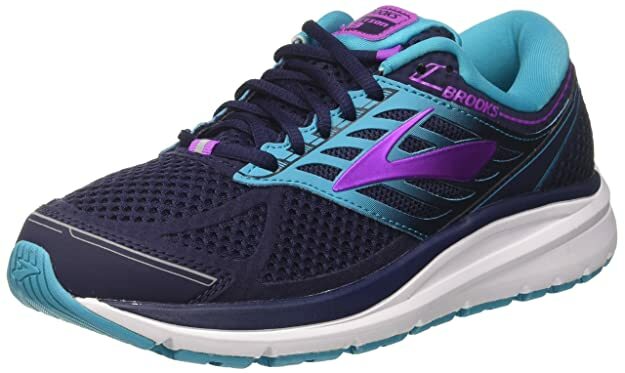 This exquisite beauty from Brooks Women takes you mile after mile while securing your feet with the Extended Progressive Diagonal Rollbar. This patented technology helps you manage pronation and run smoothly from one course to another. This design is ideal for those who overpronate or have flat feet as they tend to suffer from injuries and foot problems. Therefore, these Addiction 13 running shoes provide smoother transitions and ample support. Designed with the Heel Segmented Crash Pad, landings are rather smoother and better while allowing your feet to indulge in maximum comfort with the cushioning and padded tongue and collar. Not only does the BioMoGo DNA midsole promote long-lasting quality, but also an eco-friendly material. With all these outstanding features, you can feel comfort and reliable support all day. Another stunning innovation from Brooks is the Adrenaline GTS 19. 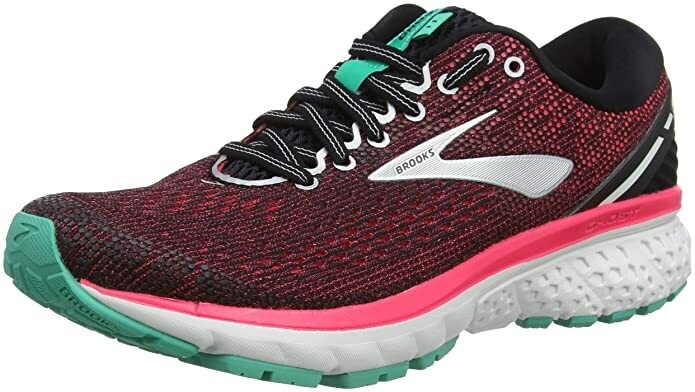 Just like any Brooks women running shoes, these gorgeous pair showcases durable construction and balanced cushioning because of the eco-friendly BioGoMo DNA cushioning and DNA loft. Tailored 3D Fit Print and mesh upper, you can let your feet take delight in maximum comfort and modernized fit. Compared to other Brooks running shoes, the Adrenaline GTS 19 spruced up the design with the all-new GuideRails Holistic support system. This feature allows you to move comfortably at your own pace while securing the part of your body that’s vulnerable to injuries – your knees. Therefore, you can ramp up your running routine with ample arch support, responsiveness, and utmost comfort. 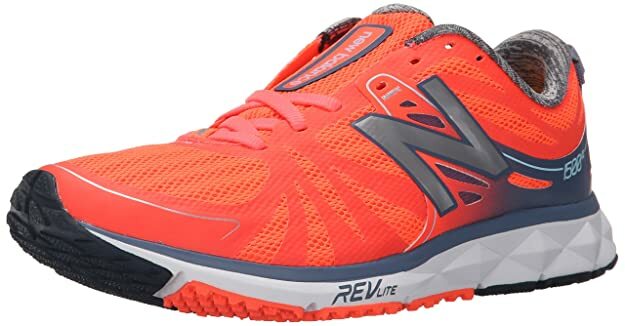 Precision fit increases the comfort and reliability and these running shoes from New Balance are engineered to accommodate different sizes without getting their feet too cramped up. Designed with the flexible TPU shank, this lightweight feature promotes stability and arch support allowing you to run and transition smoothly. For the responsiveness and durability, the W1500V2 running shoes are crafted with the Revlite foam which makes the shoes lightweight without compromising the durability, stability, and cushioning. And while these allow you to revel in maximum comfort and stability, the FantomFit design on the upper promotes custom and precise fit and ultra light support. Finding the perfect running shoes for your wide feet comes with a lot of factors to consider as mentioned above. If you’ve been having troubles with the comfort, it is essential to determine your size by getting the accurate measurements and the arch type to know the comfort and fit you need. When you’re all done with the crucial part, looking for the best pair of running shoes comes next. But with all the overwhelming options on the market, it might seem quite a challenge and hence, we’ve come up with this comprehensive guide and list of the best running shoes for wide feet for men and women. However, no matter what design or style you choose, comfort is the key when choosing your new pair of running shoes. With the proper size and optimal comfort, you can keep your feet happy, comfortable, and free from injuries.